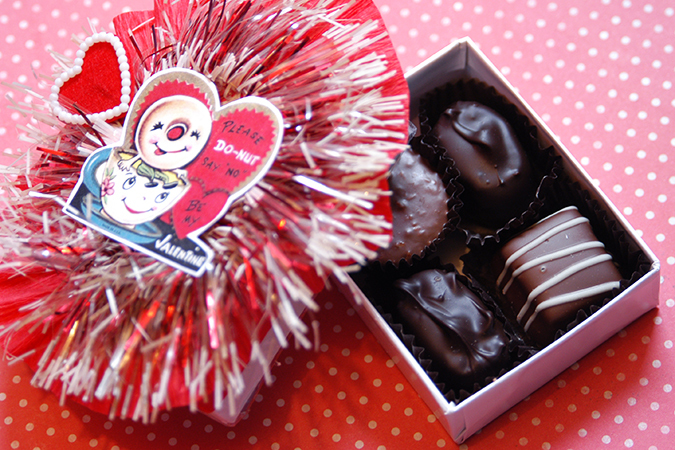 I thought it would be fun this year to give some of my lady friends some special little boxes of chocolate for Valentines day. 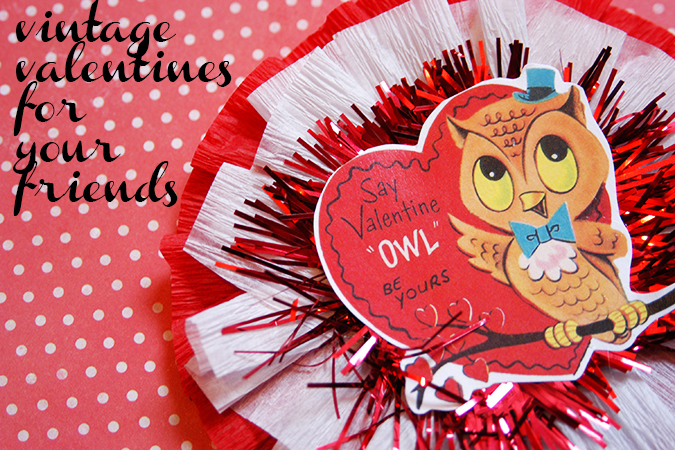 Of course I had to dress them up a bit, and I thought I’d share the real easy DIY with you in case you’d like to make some for co-workers, friends, or anyone you’d like to give a little something more then a card to on Valentine’s Day. –Russell Stover 2oz I purchased a bunch of these little 2oz boxes of chocolate, these are the kind with just 4 pieces inside. Mine arrived in red boxes for Valentines. 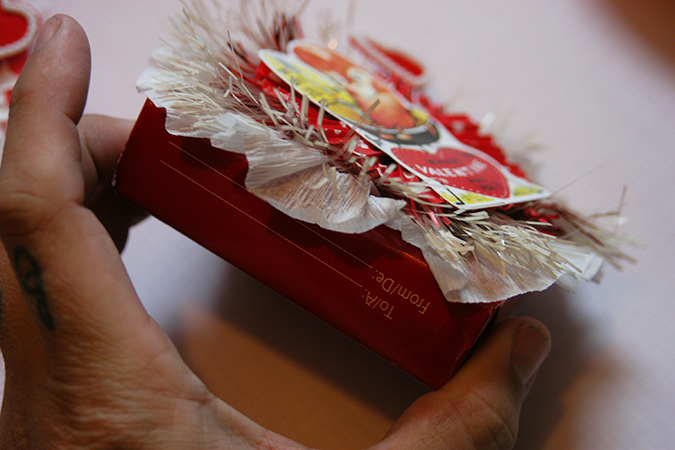 If you are really ambitious you could make your own chocolates and find little boxes to put them in. -cardboard circles for the bases: I free hand cut mine from cereal boxes. These do not need to be perfect because your going to cover them up, you just want them to be about the size of your boxes. 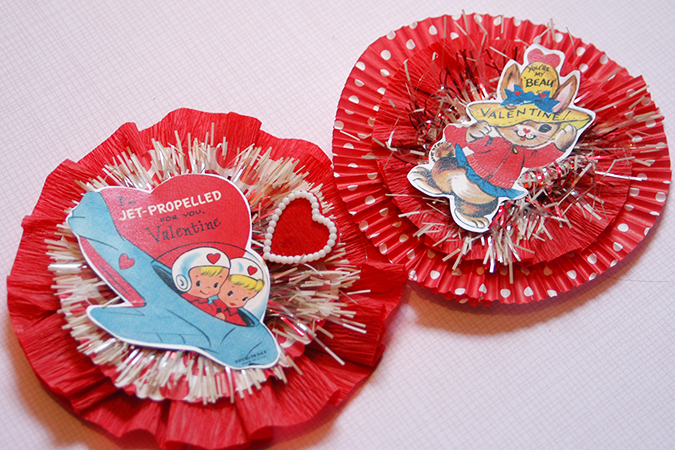 -vintage valentine cut out: I’ve made two pages page one and page two I had mine printed on card stock. All you need to do for assembly is build up layers on your cardboard circle with glue. 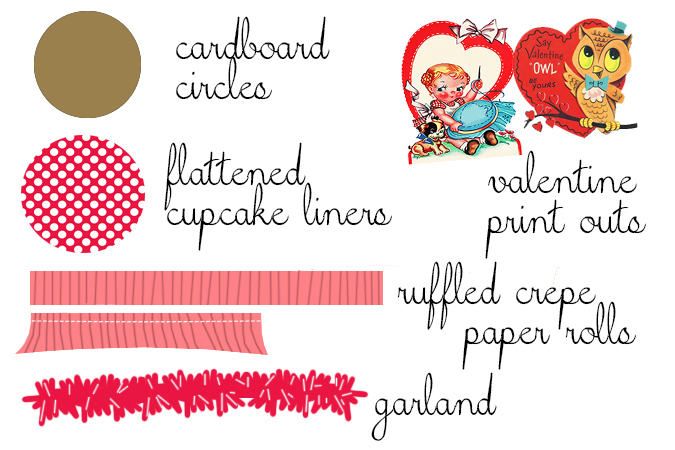 I changed each one around a bit sometimes using the garland first, some times a cupcake wrapper. 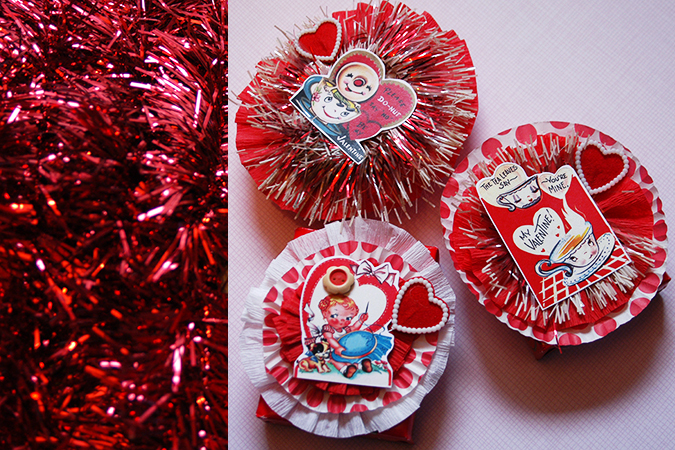 Then I added a few little items to some like buttons, or little heart cupcake picks. 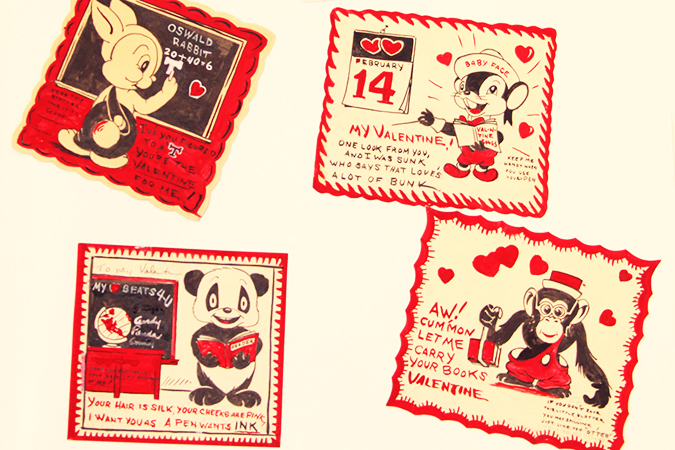 Then just write a little note on the bottom of the box of chocolate and you are ready to give them out! 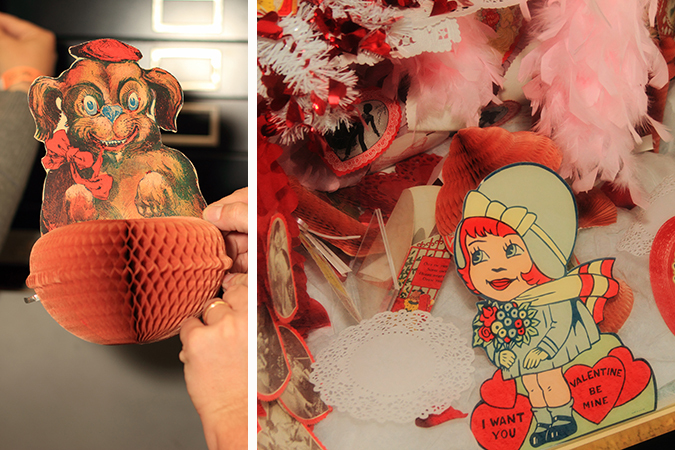 During my visit to the Beistle company in October I did manage to see a few Valentines items in the archives. 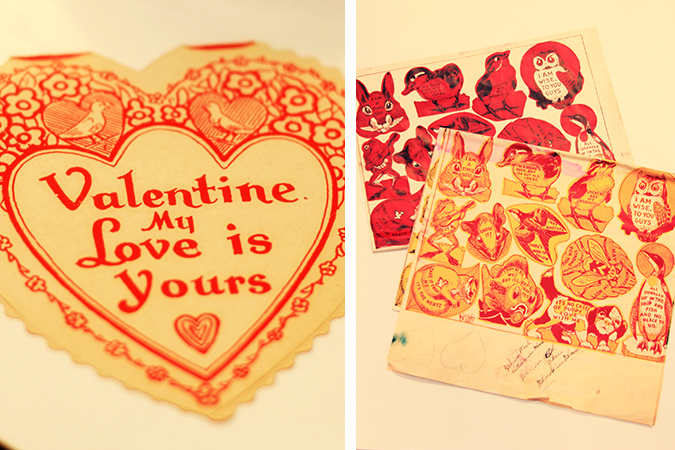 We started finding the Valentine & Spring stuff near the end of our visit, so sadly I don’t have too much to share. 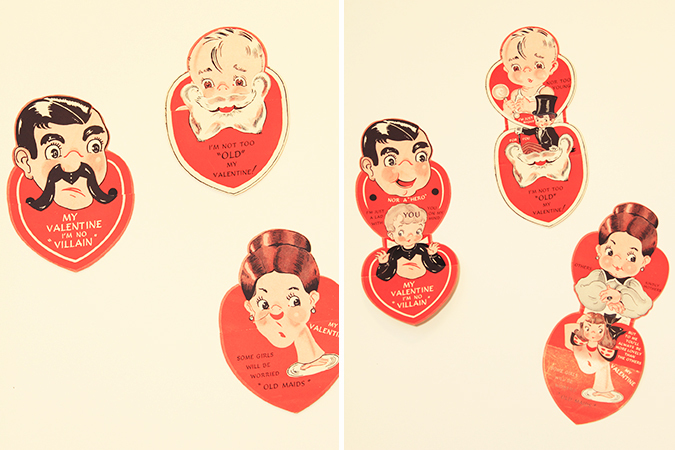 I am hoping in the future to see reproduction Valentine & Easter added to the Vintage Beistle line because they have so many good things! 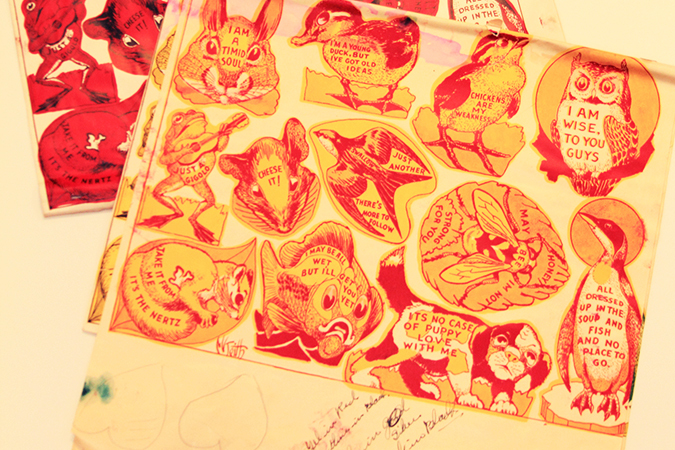 The last couple of photos were hand drawn mock-ups, which were my favorite things to find inside the archives. You can take a look back at Halloween here, and here…and Christmas here. 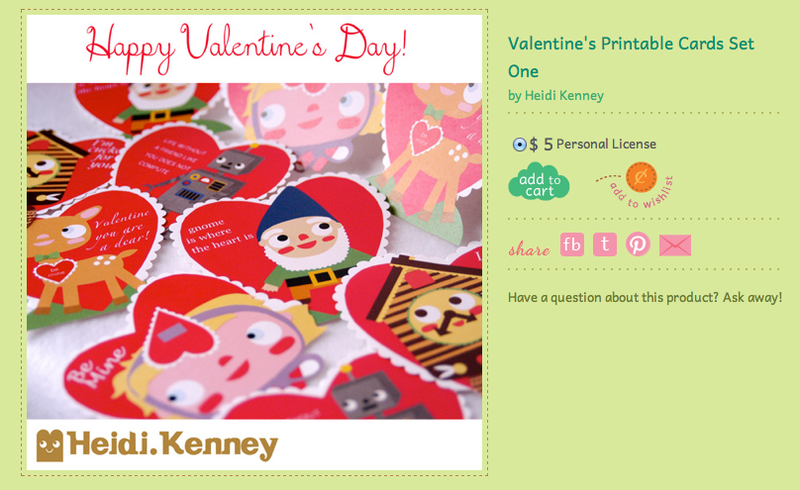 Just a heads up that you can find my printable valentines from last year & the year before over at Kitschy Digitals!